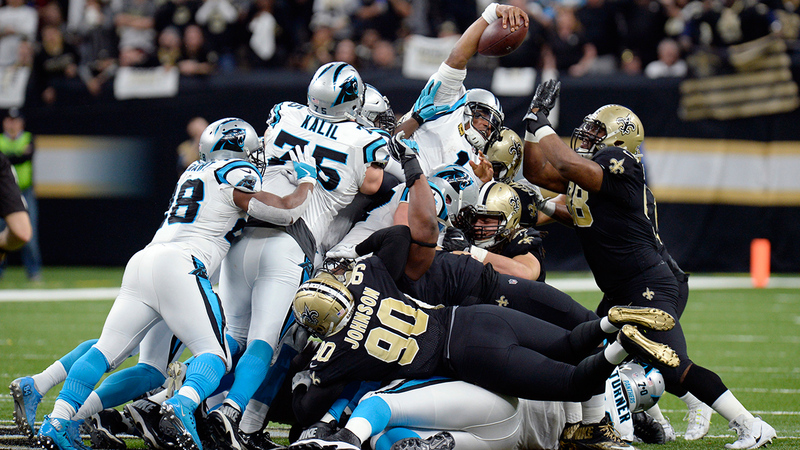 Despite a last minute rally, the Carolina Panthers fell to the New Orleans Saints 31-26. In the last 5 minutes of the game Cam Newton passed to Christian McCaffrey for a 56 yard touchdown bringing the Panthers within a touchdown for the win. After a third and short defensive stop by the Panthers that took the game to the 2 minute warning, Brees threw an interception. With no timeouts left, the Newton was flagged for intentional grounding with 34 seconds left bringing up 3rd and 23 with 24 seconds left. By rule 10 seconds must be run off the clock after an intentional grounding call. Newton was then sacked on 4th down, securing a Saints victory.